In the world of vintage Rolex collecting, everybody has a grail watch. It’s that very special timepiece (or timepieces) to make the collection complete. 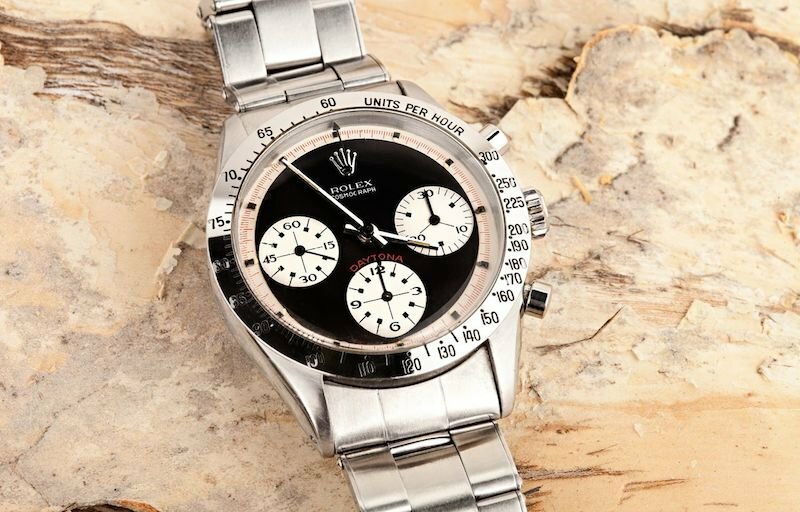 And here we have not one, but two extraordinary vintage Rolex watches that would certainly qualify as grail watches — the Rolex Daytona Paul Newman ref. 6239 and the Rolex Red Submariner ref. 1680. A pair of greatly sought after vintage Rolex tool watches, it doesn’t get much better than these two beauties. Not only is the Daytona ref. 6239 already a highly prized vintage Rolex Cosmograph, but this particular one is outfitted with the famed Paul Newman dial, thus, even more exceptional. The Paul Newman dial is, of course, the now accepted name for the “exotic” dials that Rolex introduced in the mid-1960s. Most of the aesthetic details that differentiate the Rolex exotic dial from a standard one are found on the three registers: art deco style font, square-tipped indexes, crosshairs that meet in the middle of the trio of subdials, and the 15/30/45/60 numeral configuration. 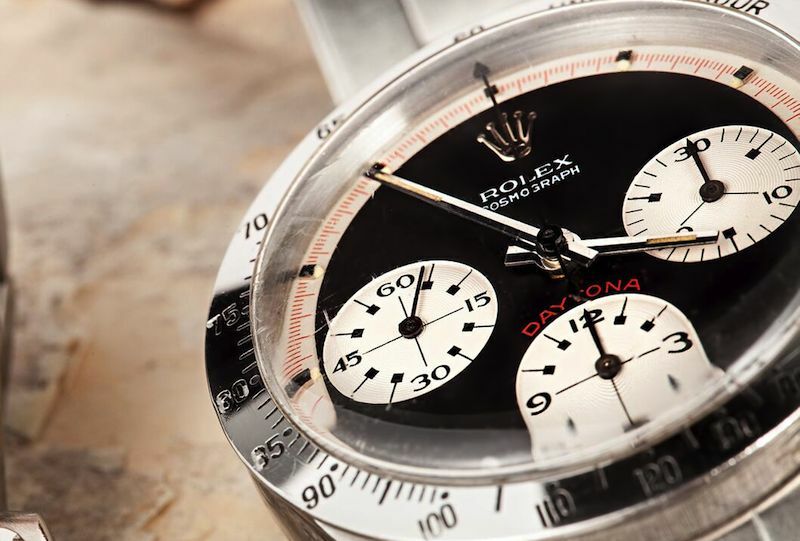 These exotic dials for the Rolex Daytona were not popular at first, but Paul Newman changed all that. Since he was a fan of these particular dials and almost always wore one, his name has forever been associated with the exotic dial version of the Rolex Daytona. The Daytona ref. 6239 Paul Newman is available with a black or white dial, both accented with the red outer track and red “DAYTONA” above the register positioned at 6 o’clock. The Paul Newman 6239 is equipped with the steel bezel engraved with the tachymetric scale, in addition to the pump pushers rather than the screw-down pushers, which would be introduced to later Daytona models. Driving this Rolex chronograph is the manual-wound Valjoux 722 movement. Not only rare but also linked to one of the coolest icons, the Paul Newman 6239 is most certainly a dream watch. From the auto-racing track to the depths of the ocean, we take a look at a very famous Rolex diver’s watch. Introduced in 1969, early models of the Submariner 1680 featured red writing, hence its nickname — the Red Sub. The red on the dial would eventually be replaced with white text, so Red Subs are prized for their rarity. There are several known dial variations of the Sub 1680, identified from Mark I to Mark VIII. 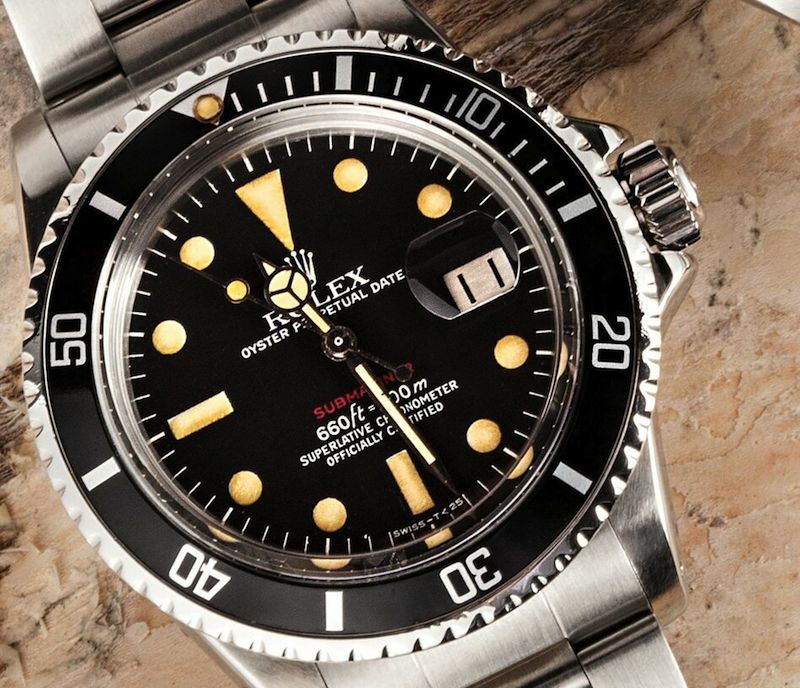 This particular Rolex 1680 is a Mark VI dial – the last of the Red Subs. The Rolex ref. 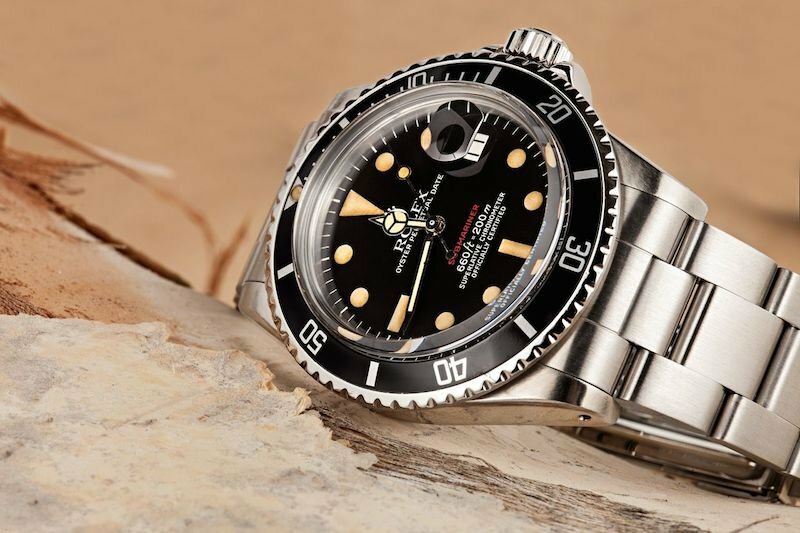 1680 was the first Submariner to come equipped with the date function and accompanying Cyclops lens. Due to the new date, the Caliber 1570 was modified to include the date function and renamed the Caliber 1575. The Red Sub variations of the ref. 1680 are considered by many as the gateway into serious vintage Rolex collecting. 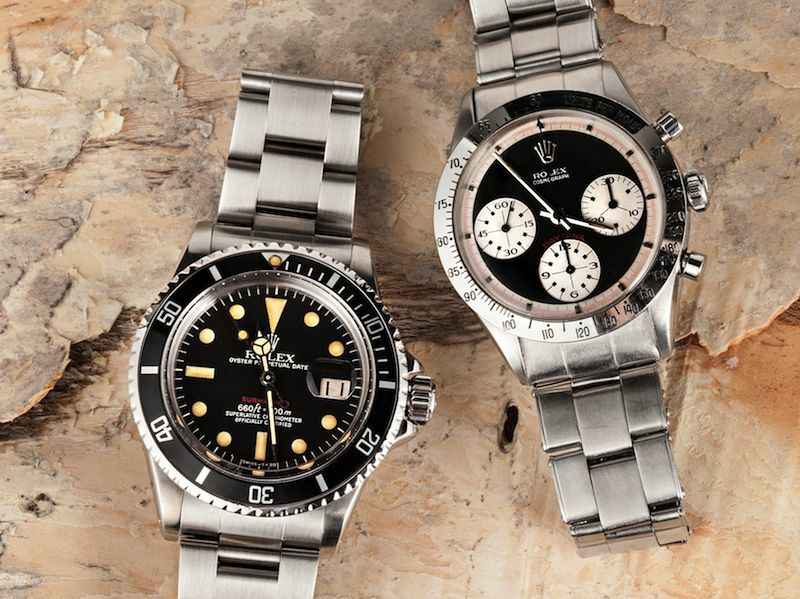 So there you have it – a duo of vintage Rolex watches that make heads turn and hearts beat faster. Choosing between the Paul Newman 6239 and the Red Sub 1680 is almost impossible. Which would you add to your collection?